This Year marks the 25th year of the Solidarity Craft Fair on December 8th, 2018, from 9 am – 4 pm at our two Main Street Venues in downtown Montpelier: the Bethany Church, 115 Main St and diagonally across the street at the Unitarian Church of Montpelier, at 130 Main Street. 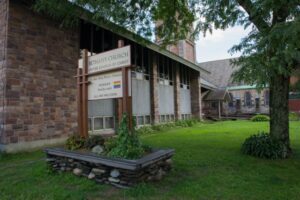 The Fair will be held in Bethany Church’s spacious Fellowship Hall (downstairs) and in the Unitarian Church Vestry. Both locations are wheel-chair accessible, via Bethany Church’s Main. St. elevator and the Unitarian Church’s School Street entrance ramp. The fair is always held on the second Saturday in December. At the two venues, you’ll find 47 vendors of locally hand-crafted gifts and internationally-made, fairly-traded goods, a HUGE silent auction with donations from central Vermont merchants and beyond, homemade lunch and desserts and coffee with a seating area. Vendors pay Planting Hope a space rental fee, but keep all of their profits. All other proceeds benefit Planting Hope’s projects in Nicaragua and Vermont. Click here to see a list and map of vendors at the Bethany Church. 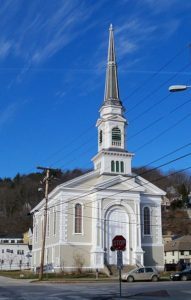 Click here to see a list and map of vendors at the Unitarian Church of Montpelier. BOTH VENUES ARE NOW FULL! Due to its popularity and overflow of great items, our Silent Auction will be held at both venues. Each craft vendor makes a donation to the auction and we also solicit donations for gift certificates from local stores and restaurants, wares and hand-made crafts and other donated treasures. The auction will open at 9 am at the Unitarian Church Fireplace and Pre-School Rooms and Bethany Church’s Fellowship Hall (in the basement) and will end promptly at 2pm. If you would like to donate an item to our silent auction, please write to Beth@plantinghope.org Click here for a sneak preview of our Silent Auction! We will not have used books and toys for sale this year. Sorry! The Solidarity Fair’s Silent Auction is one of Planting Hope’s major end-of-the-year fundraisers. If you have a special something that you’d be willing to donate to the Silent Auction, please: Contact us. Items may be dropped off on the afternoon of Friday, Dec. 7th, or before 9am on the morning of the fair, Saturday, Dec. 8th, at either venue.